On February 11th, 2013, Pope Benedict XVI announced that he would be resigning the office of the papacy effective February 28th at 8pm. Although not without precedent, no pope had resigned the office in roughly 600 years (and even that was under unusual circumstances). Then on March 13th, the cardinals of the Catholic Church elected Jorge Mario Bergoglio to the papacy. He is a pope of many firsts, including the first to take the name Francis, the first Jesuit elected Pope, and the first Pope from the Americas. 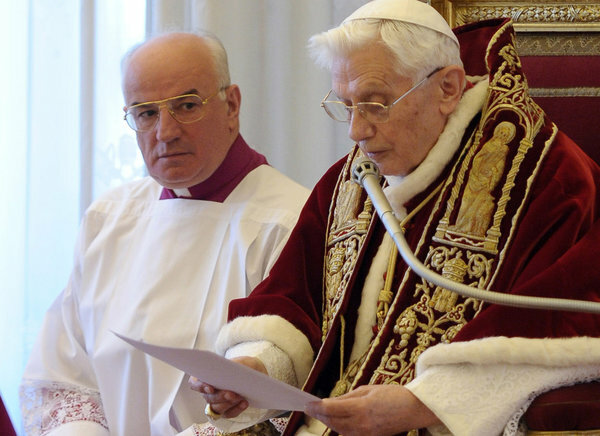 This page is intended as a resource for all who are been interested in Benedict’s resignation and the end of his papacy, the election of Francis and his early months in the chair of St. Peter, and the implications of both for the Church and the world.